The six hour return journey from Port Augusta includes a two hour stopover in the historic town of Quorn. 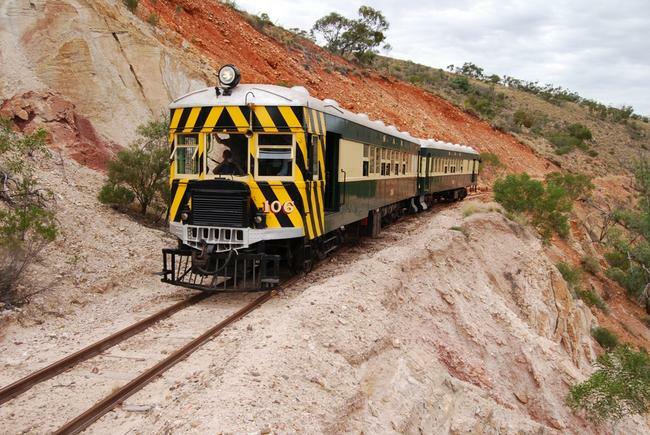 Train departs Port Augusta at 10.30am, arrives at Quorn 12.15pm, departs Quorn at 2.30pm and arrives at Port Augusta at 4.30pm. Please bring you own refreshments - No refreshments are available on the train. Please be aware that seating is not allocated on the train. We recommend you arrive at least 30 minutes ahead of departure time to ensure you are seated with family and friends. The six hour return journey from Port Augusta includes a two hour stopover in the historic town of Quorn. One way journeys are possible. 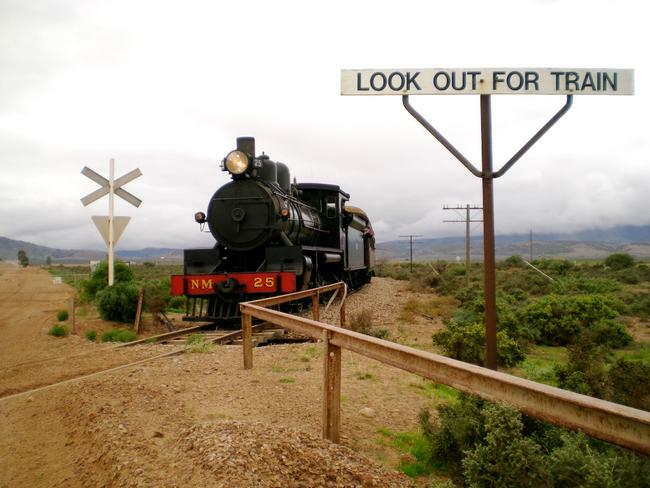 Train departs Port Augusta at 10.30am, arrives at Quorn 12.15pm, departs Quorn at 2.30pm and arrives at Port Augusta at 4.30pm. Please bring you own refreshments - No refreshments are available on the train. The Coffee Pot, believed to be the only working steam railcar of its type, provides a unique experience for travellers. The Coffee Pot was built in England in 1905 - the engine by Kitson & Co of Leeds, and the coach by Metropolitan Amalgamated Railway Carriage and Wagon Co of Birmingham. The Coffee Pot was based at the Quorn Depot for its entire working life - from 1906 to 1932. Travel on the Coffee Pot through the beautiful Pichi Richi Pass to Woolshed Flat, enjoying lunch before returning to Quorn. The fare of $186 includes a welcome drink and canapés and gourmet lunch. The train will depart Quorn Railway Station at 12.00 midday and return at 16.30. Please advise any special dietary requirements to catering.coordinator@prr.org.au. 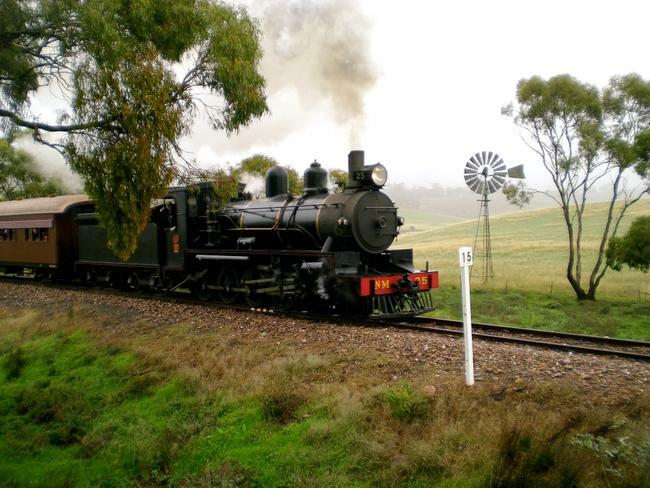 The Pichi Richi Explorer Barwell Bull from Quorn to Woolshed Flat and return departs Quorn at 10.30am, returning to Quorn by 1.15pm. Refreshments are available for purchase at Woolshed Flat. These services are scheduled using our heritage diesel Barwell Bull railcar. Please note - if Railcar 106 is not available, a heritage diesel locomotive-hauled train with heritage carriages will operate this service. Please be aware that seating is not allocated on the train. We suggest you arrive at least 30 minutes ahead of departure time to ensure you are seated with family and friends. 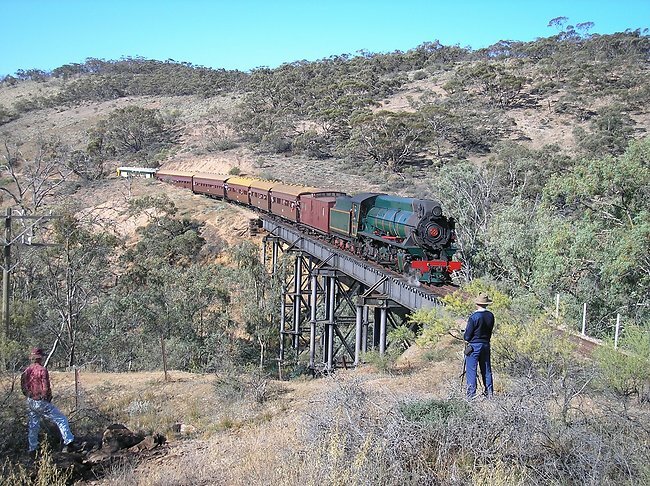 The Pichi Richi Explorer from Quorn to Woolshed Flat return departs Quorn at 10.30am, returning to Quorn usually by 1.00 pm (unless double-headed on return - by 1.30 pm). Refreshments are available for purchase at Woolshed Flat. 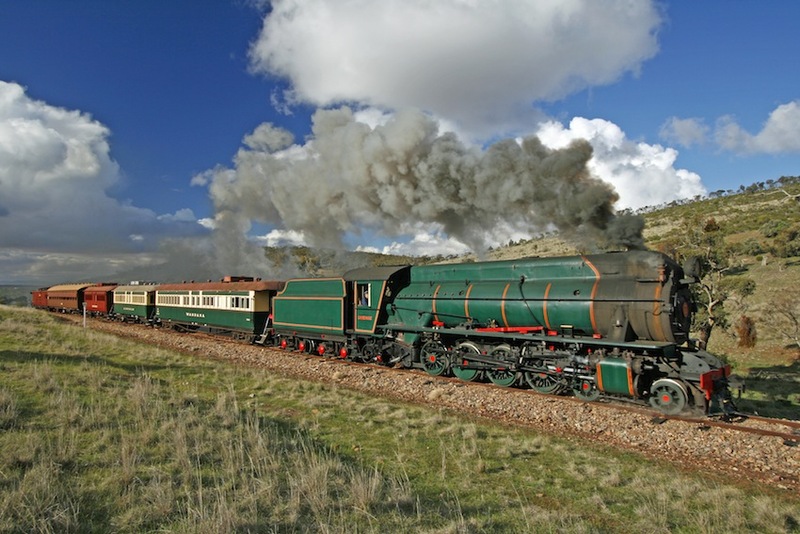 These Pichi Richi Explorer trains are all scheduled as steam-hauled services, however we reserve the right to use different motive power as circumstances dictate. Other Pichi Richi Explorer services scheduled using the Barwell Bull railcar are detailed in further sections. 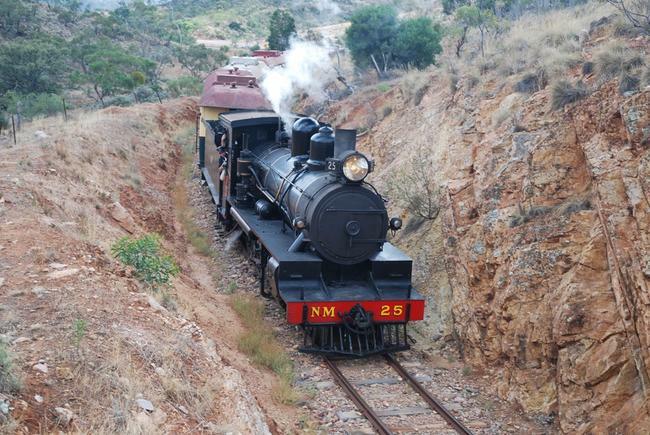 The Sundowner Explorer from Quorn to Woolshed Flat return departs Quorn at 5.30pm, returning to Quorn by 8.00pm. Refreshments are available for purchase at Woolshed Flat.